The Hoggs of Fife waxed long coat is a full-length weather protection coat that is suitable for horse riding, country walks, and everyday wear. 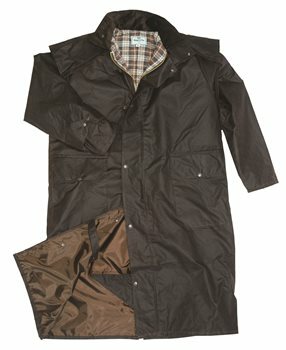 A popular long coat that offers high levels of water resistance. Approximate back length goes from 45 in a small to 47 in an XL.